Real Madrid claimed a 2-1 win over Hamburg in the opening game of the Emirates Cup on Saturday. Real Madrid claimed a 2-1 triumph over Martin Jol's Hamburg in the opening game of the Emirates Cup on Saturday. Ruud van Nistelrooy broke the deadlock for the Spanish champions before Mohamed Zidan levelled early in the second half with a brilliant effort. But on 85 minutes, Real secured the win as teenager Daniel Parejo struck past shot-stopper Frank Rost. Van Nistelrooy came close to opening the scoring after just three minutes when he was slipped through by Raul, but the Dutchman was denied by the onrushing Rost. On 18 minutes, former Tottenham Hotspur defender Thimothee Atouba crossed well for Jose Paolo Guerrero, however the Peruvian failed to direct his header on target. Real broke the deadlock in the 25th minute when Michel Salgado robbed Nigel de Jong in Hamburg's penalty area before laying a ball across the face of goal, allowing Van Nistelrooy to tap home from close range. 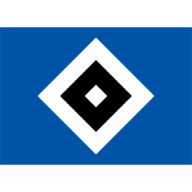 David Jarolim, Ivica Olic and Guerrero were then all guilty of spawning decent opportunities as Hamburg failed to head into the interval on level terms. But eight minutes into the second period Hamburg restored parity as substitute Zidan beat goalkeeper Jerzy Dudek with a terrific strike in off the woodwork. Jarolim then threatened to hand Hamburg the lead but his bending effort was parried wide by former Liverpool shot-stopper Dudek. Guerrero's disappointing afternoon was compounded on 71 minutes when he was presented with a golden opportunity to hand his side the advantage, however his header was tame and straight at Dudek. 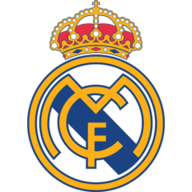 Real's winner came five minutes from time as reported Queens Park Rangers target Parejo headed past Rost from Juanmi Callejon's excellent delivery.